New Studio in the CBD and Position Vacant! You are here: Home / Blog / Hstudios News / New Studio in the CBD and Position Vacant! 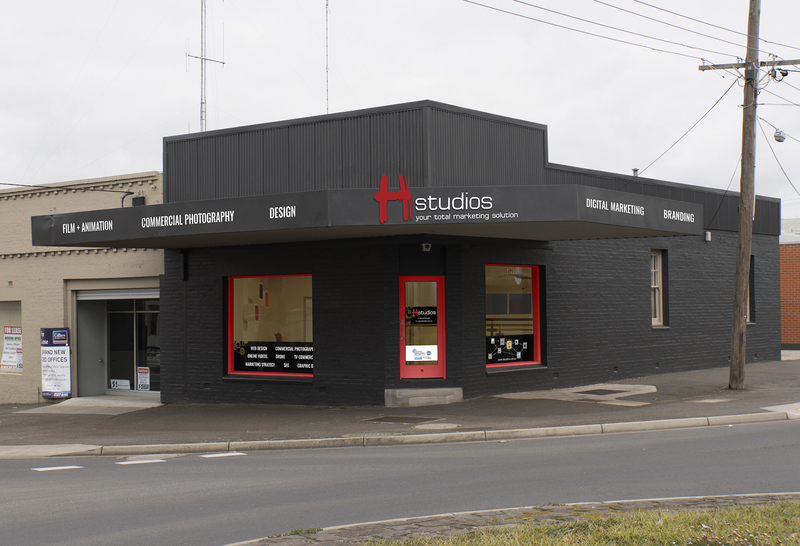 It is an exciting era for Hstudios, as our new marketing CBD studio is now open for business as of Monday October 9, located at 102 Armstrong St Sth! With a totally renovated new-look building, feel free to come by and check out our new abode…we’d love to see you! We’re looking forward to working with you on your next project. Have you got professional skills in WEB DESIGN AND MOTION GRAPHICS? Are you CREATIVE, KEEN & want to be involved with a PROGRESSIVE marketing agency in Ballarat? Find out more about the position available here. Having almost 25 years in the advertising industry & bringing extensive knowledge and experience in both regional & national markets, Heath’s dream became a reality when he created a premium, innovative production company. Federation Business School Commerce Ballarat Business Excellence Awards Graphic Designer/Web Designer position available!